The schedule for the 2012 World Series of Poker has been announced and there are major changes to the format of the WSOP Main Event, as well as the promise of additional bracelet events and more side action. The 2012 World Series of Poker calendar has been announced and the headline story is undoubtedly the removal of the “November Nine” concept from the WSOP Main Event; however, the final table of the Main Event will still be delayed, contrary to reports that suggested the delay would be completely eliminated. Seth Palansky, Communications Director for the WSOP, had hinted that the November Nine might be removed way back in November, when he said, “If you’re doing something live, do you really need to delay it for months and try to build this anticipation to get people to watch? It doesn’t quite work.” Several websites had even reported yesterday that the November Nine would be gone for the 2012 World Series. But there will still be a gap between the bulk of the 2012 WSOP Main Event and the final table, which will instead take place at the end of October to avoid a clash with the US Presidential Elections. The final nine players will play down to two on Sunday October 28th, before the heads up contest on Tuesday October 30th. 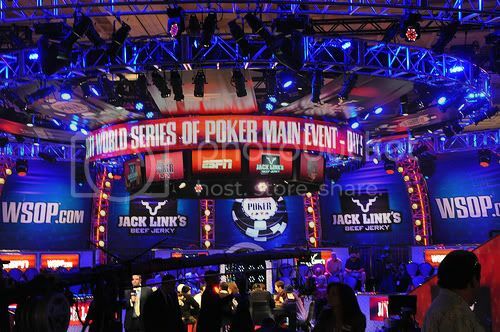 Other changes to the 2012 WSOP Main Event include a reduction to just three starting day flights and the removal of the day off. There will be 61 gold World Series of Poker bracelets up for grabs at the 2012 series, an increase from last year’s total of 59. New events include a $5,000 buy in “Mix Max” No Limit Hold’em tournament and a $2,500 Four Handed No Limit Hold’em event. Two new non-bracelet events have been thrown into the mix too; the $560 “Bracelet Bounty” No Limit Hold’em event – sees a bounty placed on the head of any former WSOP bracelet winner in the field – and an innovative “Ante Only” No Limit Hold’em tournament with a buy in of $1,500. An additional 92 tables will increase the total number of 2012 WSOP tables to 470, to help accommodate side games and on July 1st, there will be the much anticipated $1,000,000 buy in One Drop event. Here are the notable 2012 World Series of Poker events.